Editor's Note: For well over a year, it has been the custom of the Songs of Eretz Poetry Review to review one poem a day. The first year of the Review provided an analysis of the offerings from Poets.org's Poem-A-Day; for the past several months, the poems analyzed were chosen more or less at random by the editor. This practice has resulted in reviews of a broad range of poems and poets. While breadth is certainly of value in a poetry reviewing enterprise, just as valuable, perhaps more so, is depth. Accordingly, beginning today, the Poetry Review will dedicate an extended period of time--up to a month, perhaps--to the work of a single poet. 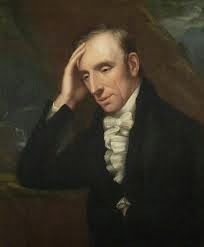 The month of June 2014 will be dedicated to the vast body of work of William Wordsworth. I am fortunate enough to have in my possession a copy of The Essential Wordsworth selected and introduced by Seamus Heaney (Galahad Books, New York, 1993). Unless otherwise indicated, all biographical and other background information about Wordsworth will be taken either from this source, which I shall cite as "SH," or from the Poetry Foundation article found here: http://www.poetryfoundation.org/bio/william-wordsworth, which I shall cite as "PF." All of Wordworth's works are in the public domain, and, therefore reprinting of his poems in the Review will be perfectly legal.